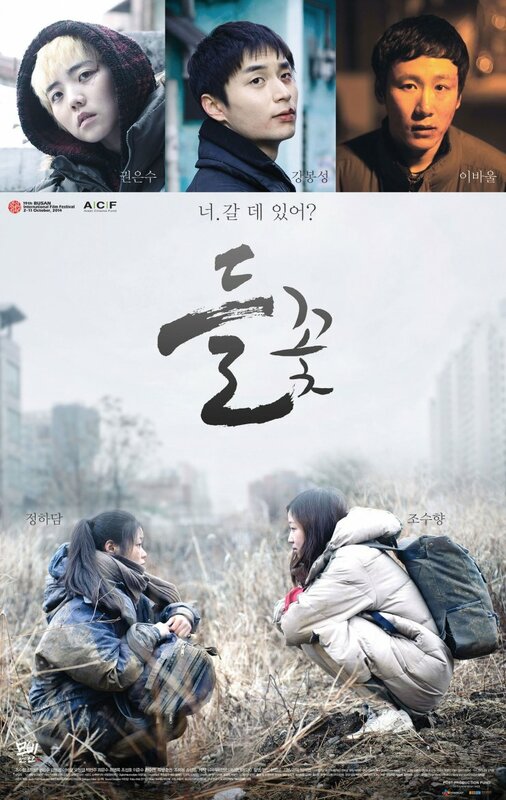 Running away from danger, homeless teenagers Soo-hyang (조수향) and Eun-soo (관은수) encounter a man beating a screaming girl in an abandoned underpass. Furious, the duo rush to the rescue and attack the man, knocking him unconscious and saving youngster Ha-dam (정하담) from harm. 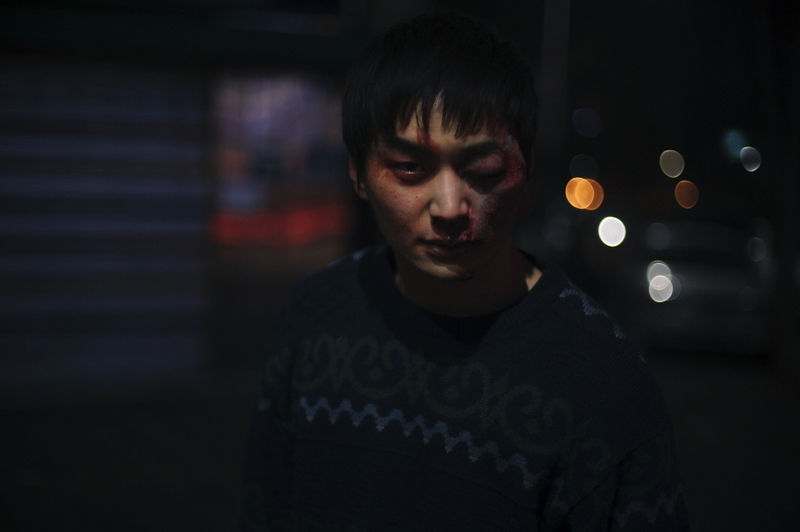 The three teens band together and decide to look out for each other as they attempt to survive on the streets of Seoul. However, on their first night together the friends are tricked by a woman’s charity and are abducted by pimps. Wild Flowers (들꽃) begins in exemplary, captivating fashion as director Park Seok-young (박석영) brilliantly captures the dangers of living on the streets with powerful, raw intensity. From the moment the film opens the audience are thrust into the perilous excitement of Soo-hyang and Eun-soo’s lives, as the duo seemingly run for their very lives only to find themselves confronted with further danger. Typically Korean independent films begin slowly and build towards a central theme, yet in adopting an alternative strategy Wild Flowers begins dynamically and is all the stronger for it. The handheld camera adds a potently raw quality that heightens the sense of danger and unpleasantness of young vulnerable girls living homeless in Seoul, particularly when violence and intimidation enter their lives. Yet even in the quiet moments the filming style conveys a tense realism, as when the trio are driven to a motel to begin working as prostitutes, making the waiting in itself an unbearable ordeal. Yet following such an impressive opening Wild Flowers quickly begins to lose momentum. Thankfully the narrative isn’t concerned with depicting scenes of teenage sexual exploitation as the girls are able to escape before the ordeal begins, due to thug Tae-sung’s affections for Soo-hyang. Instead, the film simply follows the trio as they forge a home for themselves in a dilapidated part of Seoul, foraging and stealing. While initially interesting, the story just flounders aimlessly as little of note actually occurs, and is somewhat of a wasted opportunity to explore not only key issues that afflict young female runaways but also as a character study of young women, making the running time of 110 minutes quite unjustifiable. A further key issue with Wild Flowers is that director Park doesn’t seem to appreciate how compelling and poignant his central protagonists are, as he constantly strives to include tertiary male antagonists into the narrative to the detriment of all involved. By forcefully interjecting tangents involving pimp ‘Uncle’ and his morally conflicted junior Tae-sung – as well as a kindly deaf mute who helps the girls with cash – into the film, the main impetus of the girls attempting to survive and break out of poverty becomes further diluted, with the distraction also resulting in a lack of character and relationship development involving Soo-hyang, Eun-soo and Ha-dam. 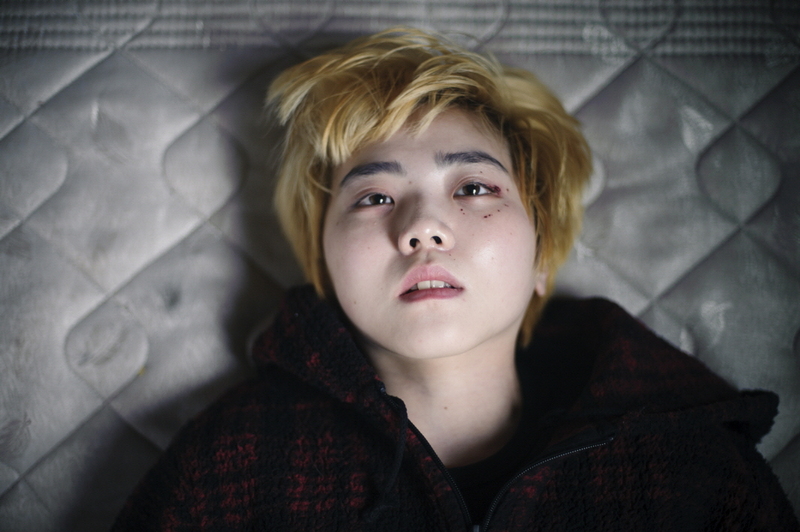 Wild Flowers begins in intense fashion as director Park Seok-young effectively conveys the dangerous ordeals faced by homeless teenage girls in Seoul. Yet after such a grand opening the film rapidly loses momentum as the narrative simply flounders, further enhanced by the unnecessary inclusion of male antagonists that serve as a distraction from the far more compelling central female characters.